Services offered: Peace of Mind. When people ask me what I do, it’s always an interesting moment. I could answer that I’m a consultant. I could say I’m a statement analyst (which most people don’t know what that means). I sometimes say I’m a deception analyst. Although a more appropriate response is that I give people peace of mind. There’s no shortage of people who will give you a piece of their mind. 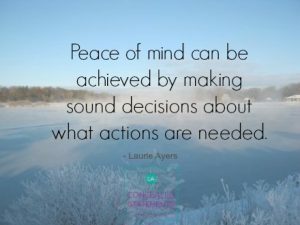 I, on the other hand, can help you get more peace of mind. 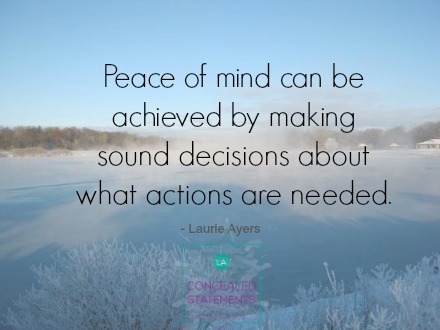 Personally or professionally, wouldn’t you like the peace of mind that can be achieved by making sound decisions about what actions are needed based on input you are getting from others? For example, if you’re responsible for new hires, would it help you it be able to discern if candidates are being truthful during the interview? As a litigator, would it bring you peace of mind to have the ability to instantly recognize with confidence when the person testifying isn’t telling you the whole story? Or perhaps you suspect your significant other is cheating on you. Would it give you peace of mind if you had a way to tell if you’re being paranoid or have valid concerns? You want to believe your child, but what if there was a way to know if you’re being naïve or if you should not ignore that nagging feeling you’re only getting half the story? People mean what they say. You can use their own words to discover deception. You’ll notice I didn’t say I can teach you tell if someone is lying. Unless we have ground truth, not a hunch, and not what appears to be evidence, but actual, solid proof, it’d be irresponsible for me or for you to accuse someone of lying. Rather I can give you peace of mind to recognize when something is amiss. I can give you confidence to probe further to find out more. I can show you how to ask questions so that you get the answers you need. That doesn’t necessarily mean that the person you’re speaking with will suddenly change their story and fess up. It may mean that they’re sticking to their story and you will be secure in knowing they’re being credible or you may need to take additional action to get closer to ground truth. Content Statement Analysis is a proven method based on someone’s own words. It doesn’t require any interpretation, such as is necessary with body language. There are certain words and phrases that can raise red flags. Something as seemingly insignificant as a pronoun or an article (the vs. a) can signal deception. Want some peace of mind? Let’s talk.